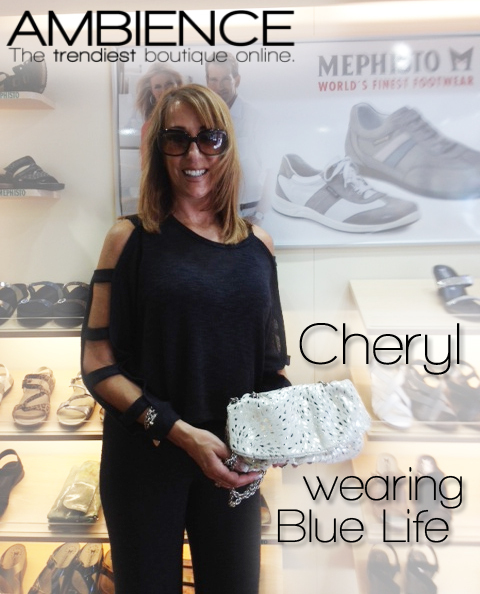 Cheryl, designer of Chez by Cheryl handbags, just sent us an awesome photo of her wearing our Blue Life top while in Boca Raton in Meifesto, where her handbags are sold. She looks great! Thanks for the photo!